Marian Korchak, the second cousin of killed Ukrainian journalist Georgy Gongadze with a code name 'Khytry' (Cunning) died in Donbas. Myroslava Gongadze, the widow of the journalist reported this on Facebook. 'Marian Korchak was my family, Lesia Korchak- Gongadze was his aunt. Eternal memory', she wrote. Marian Korchak was born on September 6, 1995, in Shklo village, live region. He studied in Lviv and graduated with the qualification of a mechanical technician. 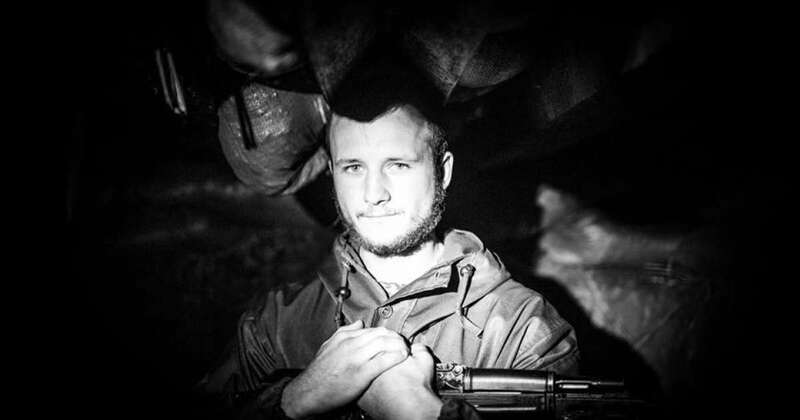 In 2016 he became a volunteer in Donbas, Korchak was a paramedic of the 1st Separate Assault Platoon of the Volunteer Ukrainian Corps 'Right Sector'. He died on May 25 in the result of the artillery attack near Zaitseve and was buried on May 30. As we reported 22-year-old commander of the snipers' squad of 24th Separate Mechanized Brigade was killed in Donbas Conflict. It is noted that specialist Bohdan Kolomiets was a commander of the 2nd unit of the snipers' squad of the 24th Brigade and died not far from Zaitseve village.